we call him “Bronco the Destroyer”. 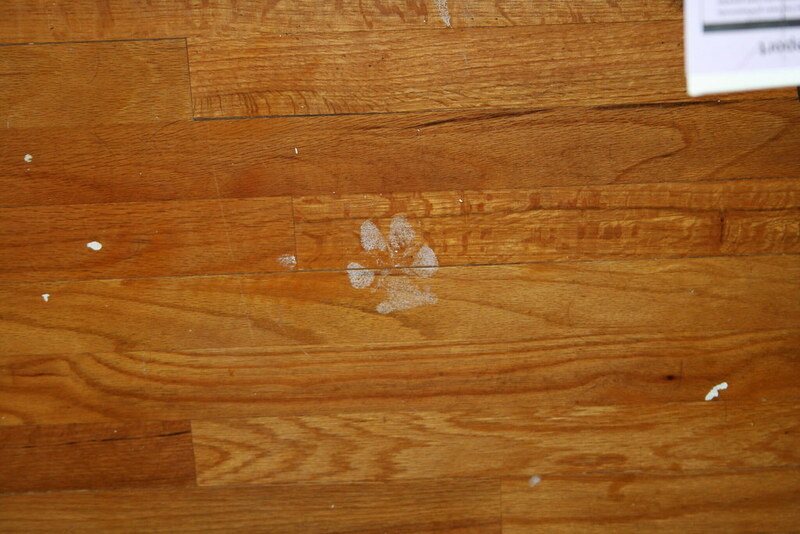 That would be a paw print on my floor. 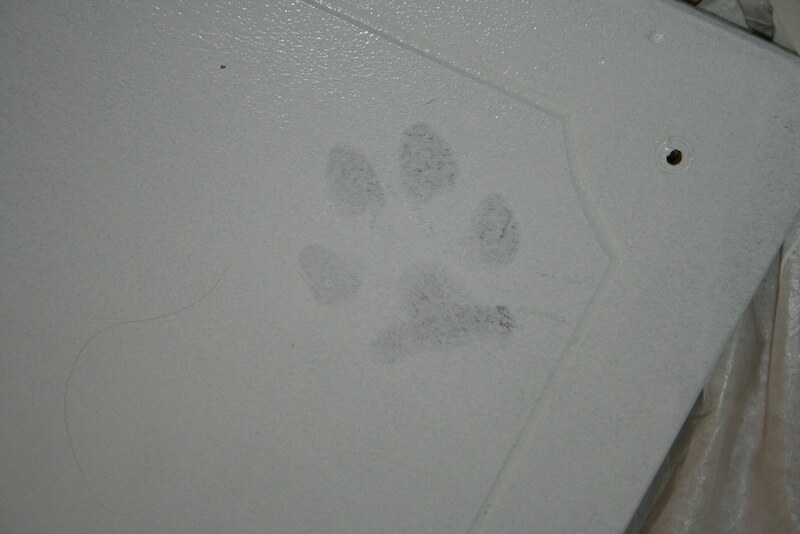 is a paw print on my cabinet. Along with hair. And dirt. Which leads me to a public service announcement. Whosoever comes into my home and makes any comment on the black hairs on my freshly painted white cabinet faces will be escorted to their vehicles and not invited back ever again. This is for anyone and everyone. And I do mean everyone. Not even giving birth to either my husband or myself makes you exempt from this rule. I have found it damn near impossible to paint white cabinet doors when you have a black lab. And before this incident he hadn’t even been around the doors! I’d had the door shut to the room they were in. 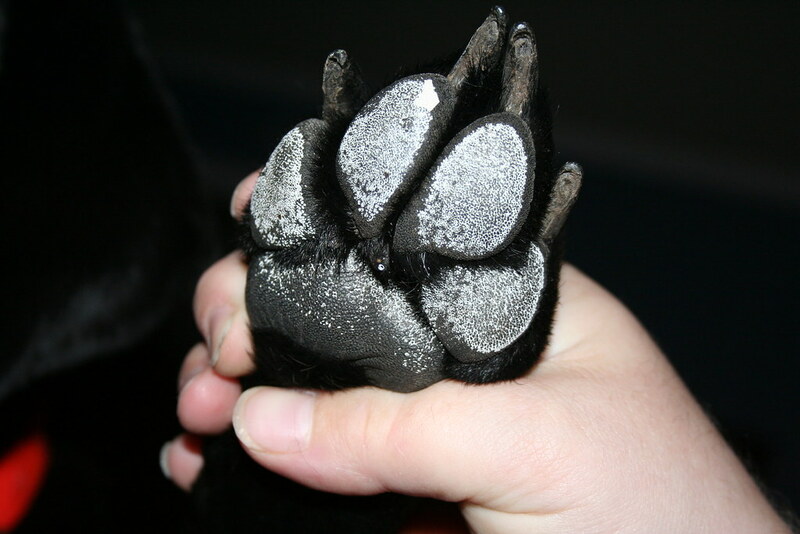 I turned my back for a moment and next thing I know- I’ve got a black lab with white paws. It is a damn good thing he is cute because I wanted to kill him. I had to repaint every single door that was drying because he took a nice little lap around them. This entry was posted in Uncategorized and tagged black labs, Bronco the Destroyer, This means you Martha Dawn, This Ugly House, white cabinets with black hair. Bookmark the permalink. but momma, if we can’t play outside and we can’t play inside… where are we to go? magic eraser and a little elbow greese will get that right off. Or shall I say, I’ve gotten paint off of smooth surfaces with a magic eraser before.